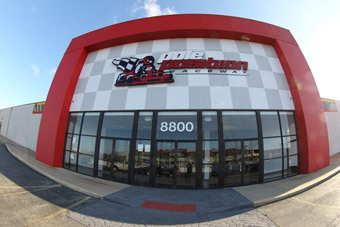 Experience real head-to-head go kart racing at Pole Position Raceway. If you think this is kids' play... well, think again! 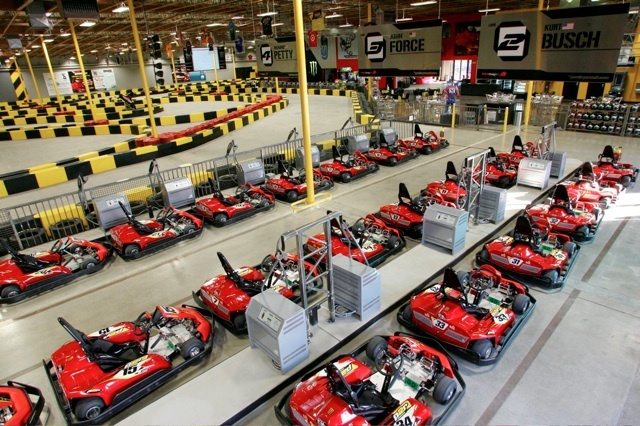 Our high-performance European indoor go karts are capable of speeds approaching 45 mph, and that seems extremely fast when you are sitting just inches off of the ground trying to navigate a road course up to 1/4-mile in length! From a competition standpoint, our electric go karts are world class. 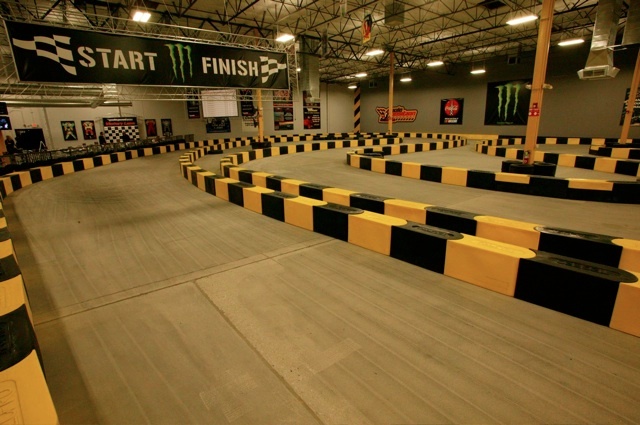 We also have kids' go karts, and you only need to be 48" tall to race. Best of all, the action takes place inside our comfortable state-of-the-art climate-controlled facilities, and there are no smelly fumes! 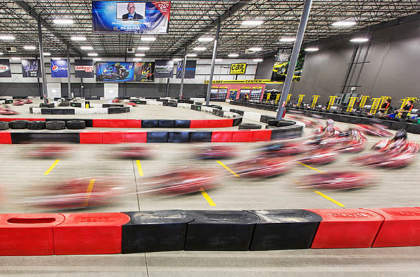 The end result is North America's best motorsports entertainment venue, and nowhere else can you find the adrenaline rush created by this type of side-by-side race action. 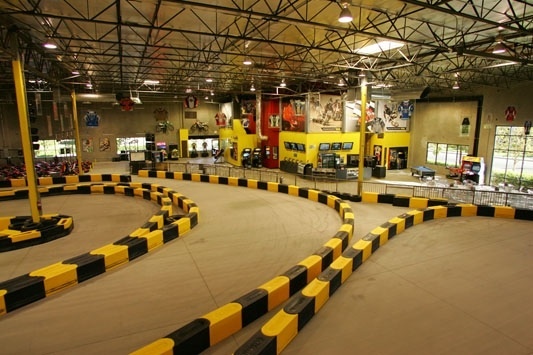 It is so good that it's been called the ultimate indoor entertainment, and all of our tracks are open seven days a week. We only close for Christmas (except Vegas) and private events, and you can check availability online by clicking on the calendar link at the track of your choice. We welcome everyone - from walk-in racers who want to race family, friends and other customers, to private groups both small and large. 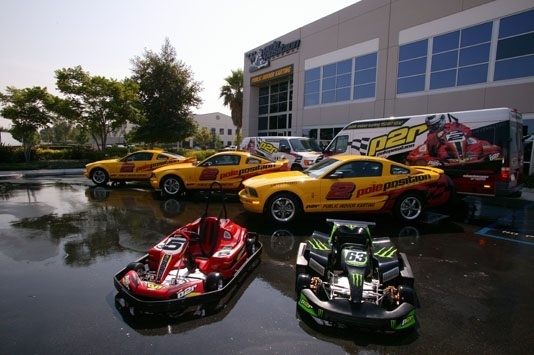 Indoor karting at Pole Position Raceway caters to fun corporate events, team building programs, team building programs, birthday and bachelor parties, new product launches, training seminars, meetings and other special occasions. We have 5 tracks: Corona, CA; Des Moines, IA; Las Vegas, NV; Murrieta, CA; St. Louis, MO; and Summerlin, NV with others planned throughout North America. MISSION STATEMENT: To create an exciting environment where casual drivers and professional racers have a chance to test their skills against one another on equal terms. To introduce new people to the dynamic world of motorsports while giving hard-core racers and fans an experience that they will want to share with friends.